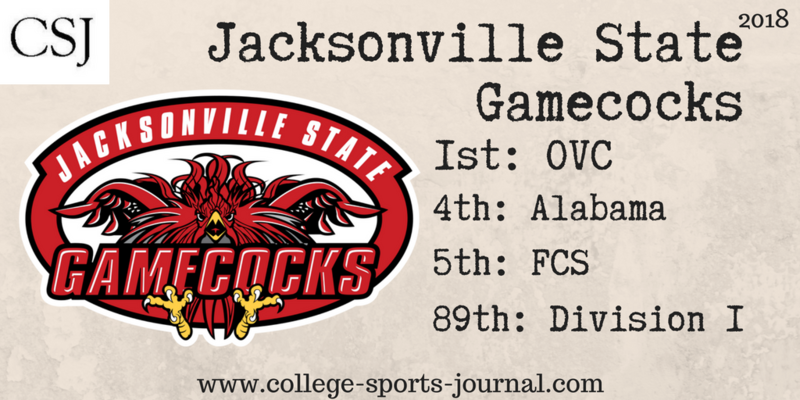 2017 In A Sentence: Another year where head coach John Grass’ Jacksonville Gamecocks pulverized the rest of their OVC competition and experienced only two losses – one to an FBS team early in the year, and another after a loss in the playoffs, this time at home to upstart Kennesaw State. Biggest Shoes to Fill: DE Darius Jackson was the OVC Defensive Player of the year last season, and for good reason: with 55 tackles and 20 1/2 tackles for loss, Jackson’s efforts helped the Gamecock defense on yield on average 15 points per game. Key Player: From one OVC preseason defensive player of the year to another, DB Marlon Bridges steps into a huge role for the Gamecock defense. With 81 tackles, 6 tackles for loss and 3 interceptions, he’ll be expected to continue being a dominating force on the best defensive unit of the OVC. 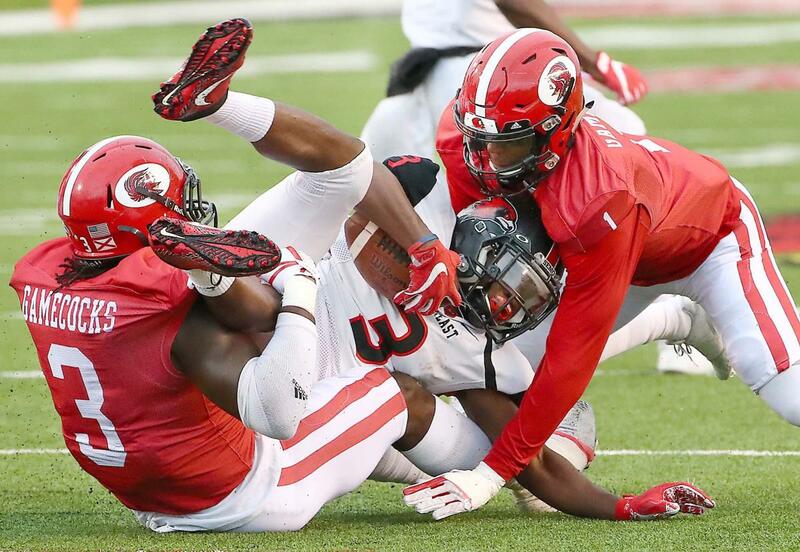 Fearless Prediction: It seems like every year it’s death, taxes, and a Jacksonville State OVC Championship, and this season feels no different. The question is whether the Gamecocks can make another run at the FCS Championship game again – and this time, win it.